Flying by private jet is an exclusive and luxurious experience – but it shouldn’t end there. With the right private airport as your partner, passengers, crews and operators themselves get world class, professional support. Here’s what makes Monmouth Executive Airport a top quality jetport. Spacious, airy waiting area that is comfortable and well-serviced with amenities, open 24 hours a day. Concierge services for passengers, operators and crew. Snacks and light refreshment as well as an onsite restaurant, Runway 34. High-speed Internet access over WiFi. Limousine and helicopter transport services to and from the airport. Hangar space available immediately to rent or own. You can also custom build your own hangar space to suit your specific requirements. Need hangar space in New Jersey? Speak to Monmouth Airport today! Along with high quality FBO services, Monmouth Executive Airport is prioritizing hangar space in New Jersey. With custom built hangars, common-use hangars, t-hangars and larger aircraft hangars with attached office space available now at rates competitive with those offered at Teterboro, Morristown Airport and other regional jet centers, we offer convenience, expert services and low stress airspace for private and charter companies. What’s more, we have the privilege of offering the longest private runway in the country! 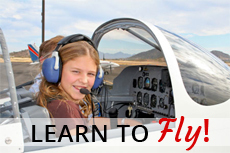 At over 7300 feet, we are able to handle almost all classes of non-commercial jets. Content is originally published at http://monmouthjetcenter.com/12-fbo-services-pilots-passengers-cant-without/.